Imagine the number of people that trade cryptocurrency in one day. This is the reason why there are a lot of exchange websites today that offer region-based coverage. Today, we will be looking into one of these websites called Mercado Bitcoin. They are one of the major players in the Brazilian Bitcoin market and not to mention, they accept Fiat deposits in BRL (Brazilian Real). 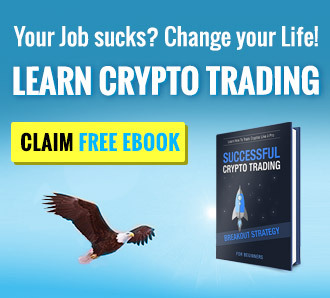 This is great since new traders are able to jump right into the action without having to think much of how to get BTC and start trading them. Since the website verification requires a local ID, we are unable to give you guys the “internal” review like we always do with our reviews here. Instead, we will look for facts regarding their numbers, features, and try to look for what people are saying about them. Without further delay, let’s talk about that! The man behind the website Mercardobitcoin.com.br is Rodrigo Batista and active in the Bitcoin world since 2013. He holds a degree in management and technology from different universities in Brazil. The company’s headquarters is located in Sao Paulo, Brazil and is the first company to provide BTC exchange operations in Brazil. The website started 2016 (last year) with a bang and 100 thousand registered customers! And that was last year! Today, they have around 400,000 registered traders under their website. Who needs the outside world, right? Creating an account on the website is not that easy since they have restrictions and verifications to follow. To create an account with Mercadobitcoin, we first need to head on to their website and click on the “Register” button found on the upper right-hand side of the website. Please be advised that the website does not accept residents from countries outside Brazil. This means that if you’re not from Brazil, the services are not available for you to use. 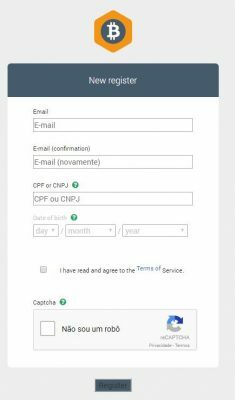 For people that are living in Brazil, you guys need to provide an active email account, choose between CPF and CNPJ as proof of identity. Provide your date of birth, and you’re good to go! For those of you who are not familiar with the ID requirements, CPF means “Natural Persons Register” or a Government issued ID for both Brazilians and legal aliens that are paying taxes. CNPJ means “Natural Registry of Legal Entities” which is an identification number issued to Brazilian companies by the Federal Revenue of Brazil. These are the requirements if you want to create an account with them. Aside from creating an account with their exchange platform, verified users are also able to enjoy their wallet service. This means that people can store their BTC into their provided online address complete with the unique address generator. Here at Mercadobitcoin.com.br verified users are able to add Google Authenticator to their accounts. Just head on to the upper right corner of the account screen and click on the “2-Step Authentication” option. Having Two-Factor authentication in exchange websites is common knowledge but not practiced everywhere. You would be amazed on how many websites today that handle money are operating without this feature enabled for their customers. VIP Customer – There are different types of account holders here at Mercado Bitcoin, first would be the regular account holder and the second is the VIP account customer. What do people get for being a VIP customer? VIP account holders are able to use wire transfers and larger limits compared to a regular account. To become a VIP account holder, the registered user needs to forward a digital copy of an official document containing a photo, preferably your driver’s license. Since we were unable to create an account with them due to account restrictions, we are unable to provide you guys with a preview of their trading platform. For people that have created an account with them, please do let us know in the comments section below the experience you guys have with them so far. We, however, do know about their trading fees that we will be sharing with you guys below. Just like a regular exchange website, there’s a “Maker/Taker” fee. They call their Maker “executed” and their Taker “executor”. The fee for the executed order is at 0.30% and 0.70% for their executor, quite steep if you guys ask us. This is normal for region-based exchanges today since they do not have the pressure of competing against large international websites with lower fees than them. The only issue we have is that we are unable to see what they have inside. For Brazilians, or any local citizen no matter what website, it is still better to have a localized company to trade BTC with since it’s generally easier but definitely not cheaper. The website accepts Fiat deposits as well as BTC, LTC, and BCH from your personal wallet. The deposit fee is at 1.99% + R$ 2.00 for Fiat deposits. Cryptocurrencies do not have a deposit charge but they have a withdrawal charge if transferred to a different wallet, not within the website. Since the exchange works as a virtual wallet too, they do not charge fund transfers from different accounts to another as long as it’s on the website. Aside from their FAQ’s, they have an email customer service address where registered customers can send them an email regarding their concern. Users are able to contact their support at support@mercadobitcoin.com.br. Business hours are from Monday to Friday, 7 AM to 11 PM. For Saturdays and Sundays, you can contact them between 9 AM and 7 PM. 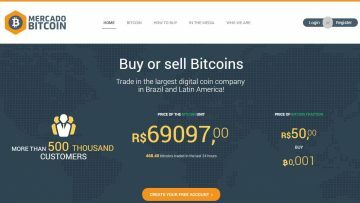 We’ve learned that Mercadobitcoin.com.br is not just a regular exchange market located in Brazil; it is an exclusive website just for Brazilian citizens. They offer a good change for people that are new to the BTC game by providing fiat deposit options. Though the fees are not that friendly, it is something that the people of Brazil can work with since the company is local.